Swedish Glace has had a re-brand in the same timeframe as this product launch. It marks a departure from the old Ingman branding, over to a fully Unilever-ised 'Heartbrand' appearance. Yep, that's the same logo used by Walls dairy ice cream. The Heartbrand logo has actually been on Swedish Glace since the 2012 takeover, but it was smaller and was simply a replacement for the Ingman logo. Once out of the box, the only branding is the Heartbrand itself, which makes these look even more like a Walls product. 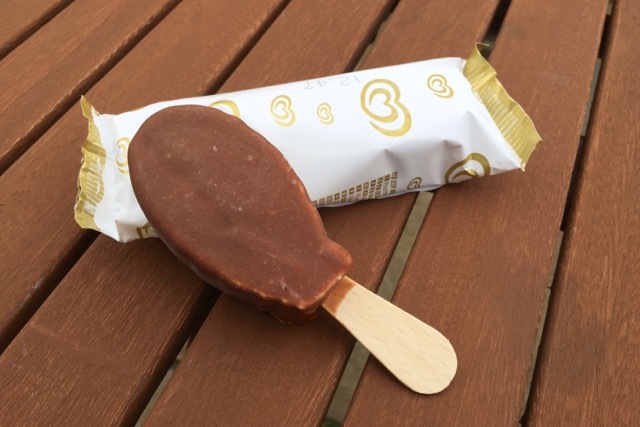 These choc ice lollies are not actually a new member of the Swedish Glace line, but existed prior to 2012, when they were branded Swedish Glace 'Pearl' lollies. Unilever cancelled them, and have now resurrected them. We never reviewed the old lollies, but Maggie at Veggies did if you're interested. There were also Swedish Glace cones that got cancelled too. These multi-pack lollies are small, some might say kid-sized. We think that's ok if you're looking for a sweet treat without the sugar overload. 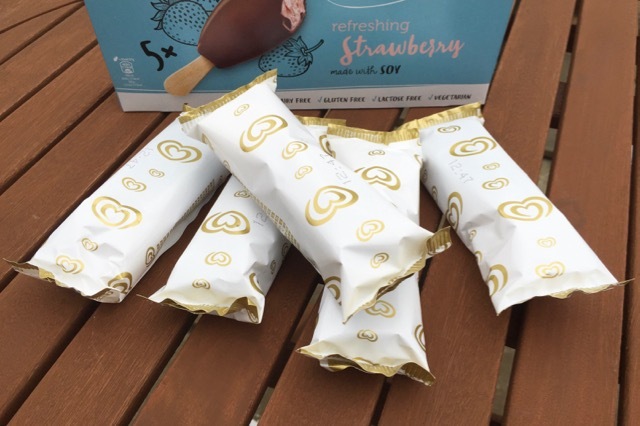 We'd still like to see some proper vegan Magnums too though, with nutty and caramel options. The chocolate coating is thin like a choc ice, not thick like a Magnum, but it tastes ok. 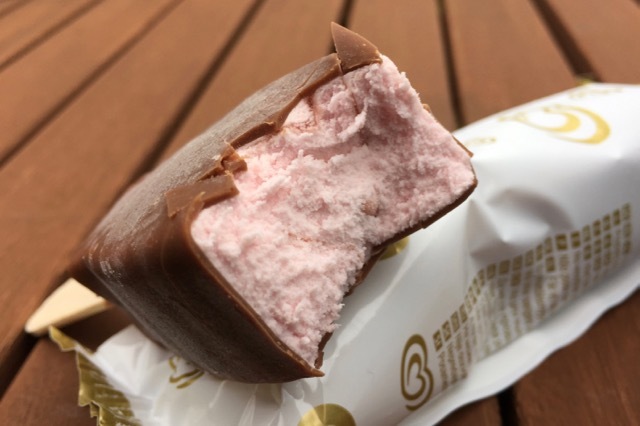 The strawberry ice cream is smooth, sweet and creamy. The lollies are soft enough, that even from frozen you can bite a chunk off without breaking your teeth. 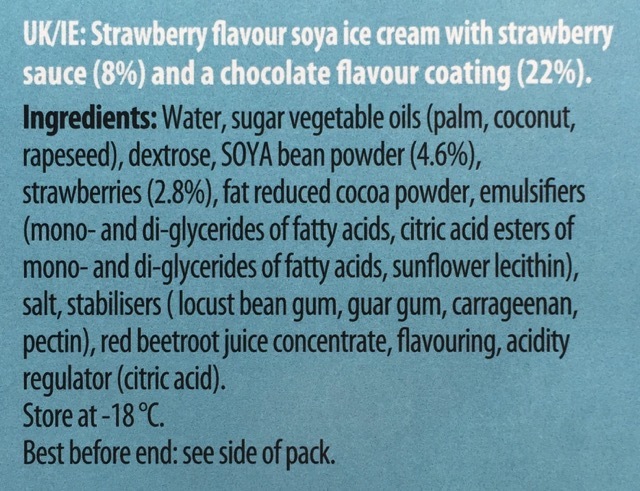 We've mentioned Unilever several times in this review, and it's something we can't ignore. 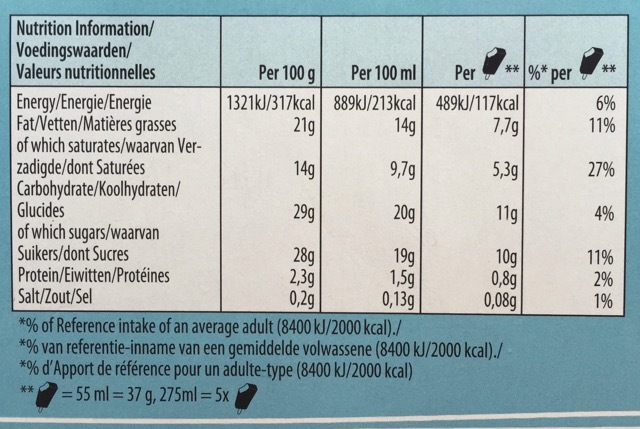 This product is made by Unilever, which as a parent company is responsible for animal testing, a requirement for some of their other products in certain countries. This product is NOT tested on animals as far as we're aware. We're glad that these lollies are back on the market, and hopefully other flavours will follow too. We'd also like to see the 'vegan cornettos' back on the market at some point. 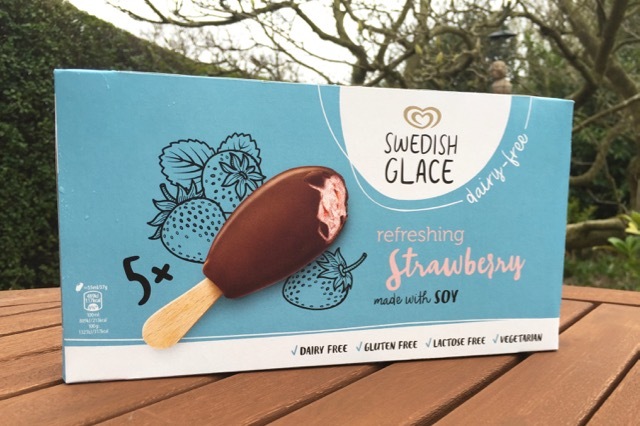 Swedish Glace make one of the best tasting vegan ice creams, and if we're ever to convince carnivores and vegetarians to reject the cruelty of the dairy industry, we need products like these to be in every corner shop.